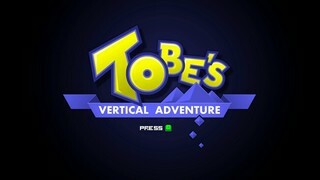 Released in January 2010, Tobe's Vertical Adventure is a retro-style indie platformer. Players have the option to play as Tobe, who can run fast, or Nana, who can double jump. Also, there's a co-op option. Best time as Tobe with deaths: Single-segment 0:15:54 by Greg 'Setz' Tyndall on 2012-03-24. Best time as Nana with deaths: Single-segment 0:15:10 by Greg 'Setz' Tyndall on 2012-03-25. Best 2-player time with deaths: 0:13:48 by Greg 'Setz' Tyndall and 'Gumboman' on 2012-09-20. Tobe Single-segment with deaths: 0:15:54 by Greg Tyndall. Howdy. This is my single-segment, any% run through the sixteen levels of Tobe's Vertical Adventure as Tobe, using a collection of glitches to pass through the floor, slide through walls, and boost to the top of the levels. It uses one death in the second level to exploit a glitch that saves time. Tobe runs much faster than the other character Nana, but he lacks a double jump which results in an overall slower time than Nana by 44 seconds. No double jump means he can't ascend levels as fast and sometimes can't descend as fast, but he has the benefit of extra hearts at the beginning for pulling off a specific trick and tanking enemies to save time. I had to avoid some minor tricks for the fact that they're relatively inconsistent and Tobe doesn't have a plan B if a fall goes wrong. Overall this run went well, but it didn't go perfectly—I get hung up on some weird walljumps and miscellaneous other problems that should be fairly obvious. If the run went flawlessly, it would be about 25 seconds faster, but I'm still rather pleased with this since it can be a pretty tricky run for how short it is. Otherwise, most of the glitches won't make much sense if you've never seen them before, so if you're curious how they work, check out the Tobe speedrun tricks playlist on my YouTube channel. I have a variety of other games on my page as well. Floor Door - When clinging to a wall, you gradually build up speed as you fall, but when disconnecting from the wall, there's a brief period where your character has no collision and can drop through the floor. It's tricky to pull off sometimes since the timing's relatively tight, but it lets you get through some slow areas faster. The limit that you can fall through is one to two blocks of height, with two blocks requiring more speed. Slick Pick - This allows you to pass through walls when a treasure box is close enough to them. When opening a chest, you can move a few blocks to the side without collision, meaning there are some levels where you could get yourself stuck inside a wall. This trick is extremely easy to do if you're standing right next to a vertical set of blocks, but it gets far more difficult if the treasure box is slightly offset so that you have to stand away from the wall. Screenwrap Glitch - Tobe's Vertical Adventure uses screenwrap, which is where you run off the right side of the screen and appear on the left side, and vice versa. What happens with this glitch is that you move from one, blockless side of the screen to the other side, which contains blocks. By moving to the side with blocks, your character gets lodged inside of them but can still jump, which will boost the character upward until they reach the top of that set of blocks. It greatly reduces ascent time on levels that feature this glitch. Lantern shortcut - This trick is exclusive to 1-2. Lanterns serve as checkpoints in Tobe's Vertical Adventure, typically respawning you after death right underneath them. But this one in 1-2 spawns you slightly to the left and close to a wall. If you hold left while respawning, your character will go into the wall and be teleported to the top of that set of blocks, in much the same fashion as the Screenwrap Glitch. 1-4 enemy shortcut - If you take damage from an enemy while running into a wall, you get pushed inside of it and then placed on top of that set of blocks like with the Screenwrap Glitch. But if you jump a split second after your character is pushed in the wall, you drop through ground in this one level. Rolling over spikes/lava - When standing on the same level as a pool of lava or a set of spikes, you can roll off of the blocks over the obstacle, and then there's a split second where you can jump out of the roll. I use this in 3-2 to reach a bubble that I normally couldn't. Crusher through floor - Crushers only appear in world 4, but if you stand beneath them and jump just a moment after they hit you, your character will fall through the floor—if the floor is only one block thick. Nana Single-segment with deaths: 0:15:10 by Greg Tyndall. Howdy. This is my single-segment, any% run through the sixteen levels of Tobe's Vertical Adventure as Nana, using a collection of glitches to pass through the floor, slide through walls, and boost to the top of the levels. It uses one death in the second level to exploit a glitch that saves time. While Nana runs slower than the main character Tobe, her double jump allows her to get out of the levels much faster and use some additional tricks, so her run ends 44 seconds sooner than my best time with Tobe. Her main problem is that she can't tank enemies early on since she only starts with one heart, which forces you to play a little more conservatively. That being said, this run isn't flawless, and I believe it's very possible to get a sub-15 minute run. Most of my mistakes appear when trying to pull off some of the harder tricks—generally only taking off a few seconds—and are quite obvious. Still, this is the best take I've gotten in what I consider to be a fairly difficult, if short run. A perfect take would be about 23 seconds faster. 2-player with deaths: 0:13:48 by Greg Tyndall and 'Gumboman', done in 17 segments. Howdy. This is our 17-segment, any% run through the co-op story mode of Tobe's Vertical Adventure, with Setz as Nana and Gumboman as Tobe. Dying is nigh-constant in this run, but it generally serves a purpose and increases the speed of the run. Co-op mode features a lot of major glitches that weren't possible in single player mode and allow us to greatly reduce the overall time. Together, we throw each other through the floor, slide through walls, and boost ourselves to the top of the levels. Each individual level is done in one segment (and one more for the title screen setup), both ascent and descent—hence the 17 segments. Every level was done in succession due to complications with increased health and lives, with the exception of 4-3 which was scrapped and redone due to a recording error. No advantage was granted for this and we ensured there were no meaningful inconsistencies. Otherwise, we're still baffled by what happened in 4-1 where Nana dies but still grabs the escape rope at the end, because we thought we had lost that take since Tobe wasn't able to keep up with her. It doesn't seem like it cost us any time, though. This kind of run has a fundamental drawback in that Tobe and Nana have different abilities which conflict a number of times. Both players have to get to the goal treasure to open it, not to mention the tricks sometimes needing both Tobe and Nana, with the camera stretching between them. Tobe runs faster and can be forced to wait on Nana, whereas she can double jump and leave Tobe in the dust during ascents. Luckily, we get around most of these problems with one trick. The major glitch we use in this run is what we call the Over-And-Under, which lets one player fall down as far in the level as they want with no collision, but there are limits: you can't go too far off the screen. Falling off-screen will kill and respawn you next to the other player, and the camera won't follow the falling player unless the other one is dead or keeping pace. This creates a certain strategy where we drop down as far as we can, have the other player die and respawn next to the first, and then run through the rest of the level. Because this run is segmented, I don't believe there's too much time lost on these levels excluding a few minor mistakes here and there. There's at least 7 seconds lost from what I loosely calculated, but any significant time improvement over this run would involve new routes or tricks. We're quite happy with this run, especially since it's our first co-op speedrun as well as our first segmented. It also drastically improves on Setz's best solo time with Nana by a full minute and 22 seconds, just showing how effective the Over-And-Under is. Otherwise, most of the glitches won't make much sense if you've never seen them before, so if you're curious how they work, check out the Tobe speedrun tricks playlist on Setz's YouTube channel. He has a variety of other games on his page as well, or you can check out Gumboman's channel. Over-And-Under - There's a move where if one player is hanging from a ledge with the other relatively close below them, the hanging player will turn around and hold their hand out to give the second a boost upward. Once the second player takes the hand, the first can press down (and then release) to cancel out of the maneuver and begin falling, but all while the game thinks you're still clinging onto the ledge. This means that you're falling downward and can just pull yourself up to stop at any time. This can be done at any ledge higher than two blocks above the ground. Wallrun ledge lift - This is a Tobe-only trick that involves his wallrun. When you encounter a one-block high hole in the wall that you're supposed to roll through, you can actually get Tobe to pull himself up into it, going the opposite direction intended. If you hold down and forward just before Tobe grabs the ledge while wallrunning up to it, he'll push himself slightly into the wall before he lifts himself up, tricking the game into thinking the hole is taller than one block.